Solaronix continues to commit much effort to the development of enhanced molecules and better processes. 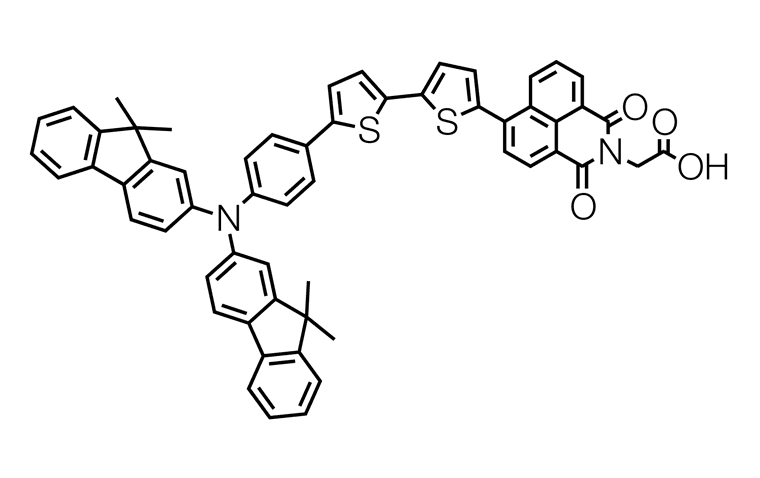 Our offer of photo-sensitizers now extends to purely organic dyes. The Sensidizer products bring alternatives to ruthenium pigments, as well as new pigments dedicated to solid-state Dye Solar Cells. 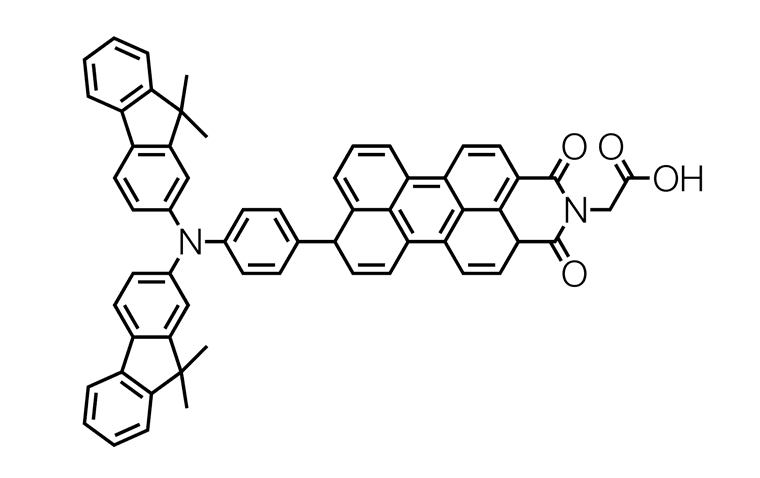 A purely organic pigment for Dye Solar Cells, Sensidizer SQ2 gives a vivid green color to stained electrodes. A remarkably high performance purely organic pigment for Dye Solar Cells, Sensidizer RK1 gives a bright orange color to stained electrodes. 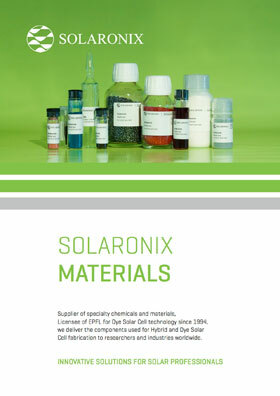 With Sensidizer BA504 and Sensidizer BA741, Solaronix is introducing a new set of dyes for solid-state Dye Solar Cells. What's more, we are offering a staining additive specifically suited for those dyes, Sodium Hydroxamate BA622. Sodium Hydroxamate BA662 is a staining additive specifically suited for Sensidizer BA504.